Language through art; art through language. I don’t need to tell you about bad floods–the devastation they bring to the land, its people, and their worldly possessions. But let me remind you about some good floods. They take place across this great country and around the world: in arenas, on outdoor rinks and even on lakes and ponds. Whether initiated by a solitary figure cradling a second-hand fire hose or by an attendant driving a state-of-the-art ice machine, these floods put in place the key ingredient. My book celebrates the adventures and interactions among people that can only happen after the good floods. Many of the poems are rooted in my experiences as a player, coach, and fan. in every village, in every city? that the game must come to an end? 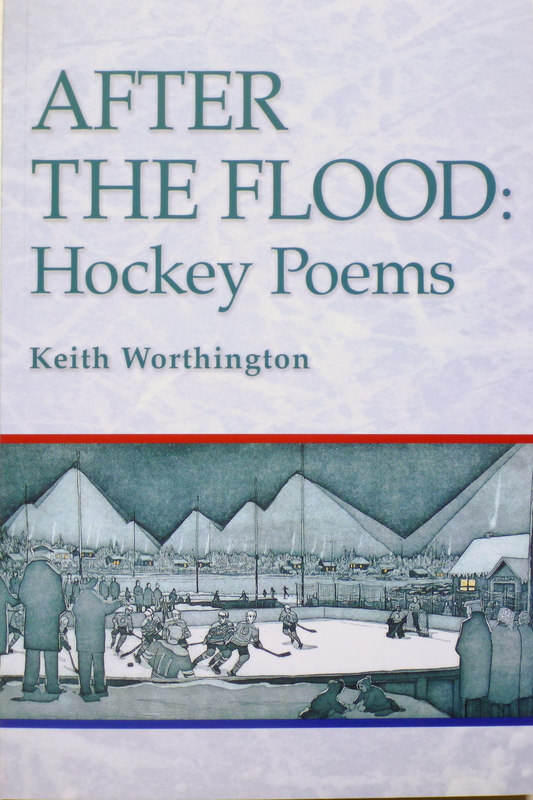 After the Flood: Hockey Poems is available through Language Art Studio. This paperback can also be purchased at these fine book stores: Pages on Kensington, Shelf Life Books, Collectors Books and Cards, Cafe Books in Canmore, and Bacchus Books and Cafe in Golden BC. You can also find this book at these sports stores: Tuxedo Source for Sport and Stick Fix in Calgary.